LOUISVILLE, KY (WAVE) - During the first complete day of the Lewis and Clark Bridge being open, those who live nearby say it is an interesting and new way of life. "I walked down to the mailbox, and for the first time in 41 years there was a hum of traffic," said Bob Hill of Utica. Hill runs a nursery on his property. He said with the opening of the Lewis and Clark Bridge, he hopes the new traffic means his business known as Hidden Hill will no longer be so hidden. "I can put up with a little bit of hum with traffic and maybe actually have some customers out here for a change," said Hill. 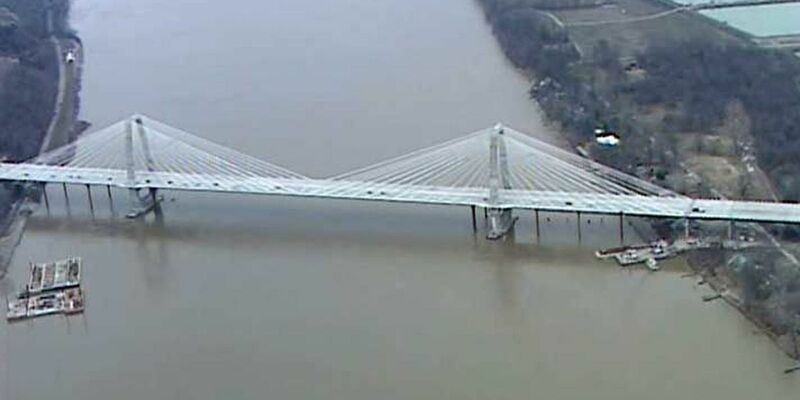 Those who make the daily commute from Southern Indiana to Louisville for work also see the new bridge and a quicker commute in a positive light. With progress comes a price. Tolls start on December 30th. RiverLink wants everyone to know time is running out to set up an account so you will not have to pay more to cross the river. "They will be paying the lowest rate two dollars in a passenger car day one of tolling," said Mindy Peterson. For Hill in Utica, the tolls and the bridge are just a sign of progress. "That will save me a lot of time, so I don't care about the tolls. That will save me in gas to get over there so it's not that big of a deal to me," said Hill. RiverLink offices will be closed on Saturday, December 24th, Sunday, December 25th, and Monday, December 26th. Representatives are encouraging drivers to get a RiverLink account. Register online here.